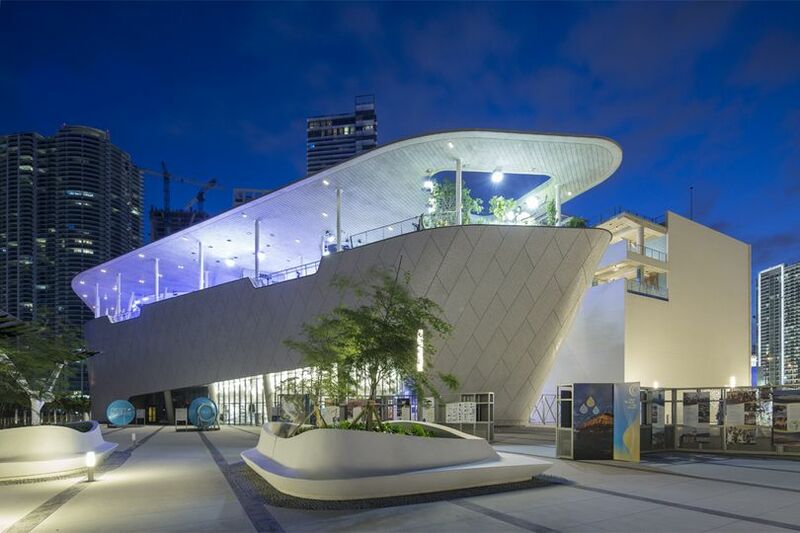 Phillip and Patricia Frost Museum of Science is a spectacular museum wedding venue in Miami, Florida. 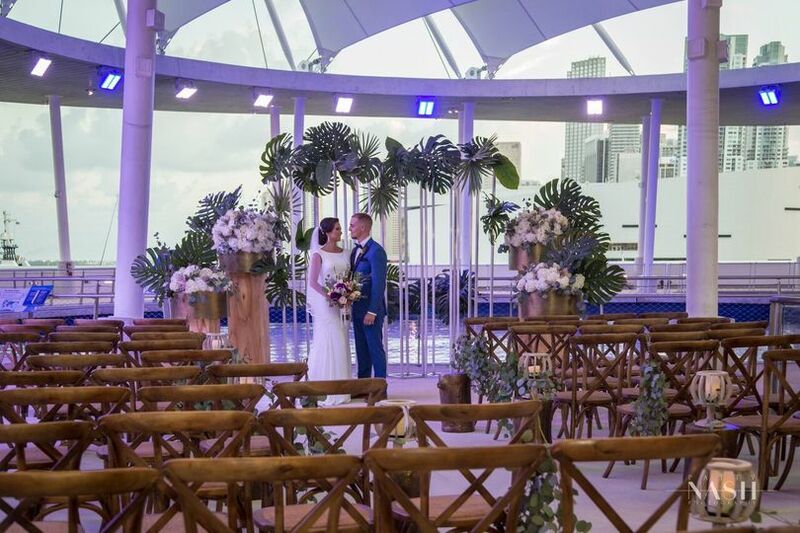 Boasting a wide array of indoor and outdoor spaces, the views inside this venue are as stunning as those available from the outside - ideal for hosting an unforgettable ceremony and reception. 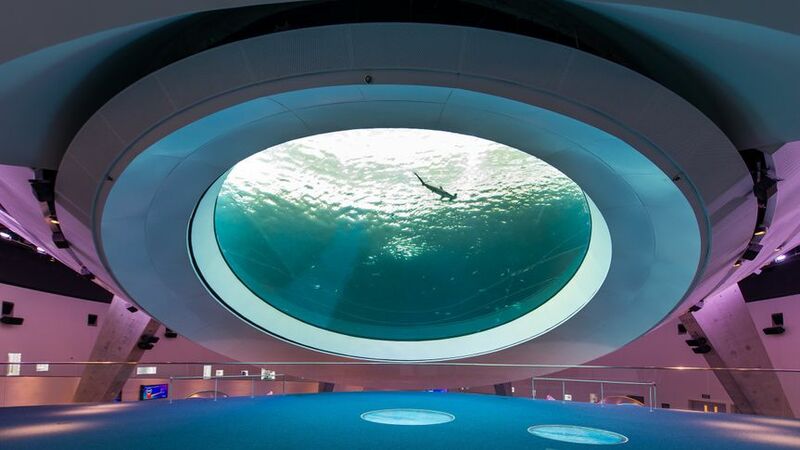 Phillip and Patricia Frost Museum of Science has a maximum capacity of 5,000 people, making it big enough for even the most lavish and extravagant wedding celebrations. 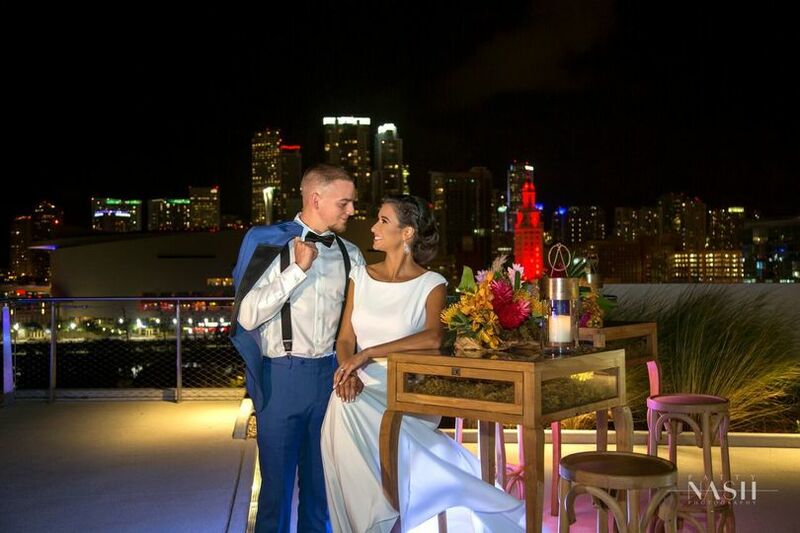 Equally, with so many event spaces on offer, there is room for more low-key weddings to take place here, too. 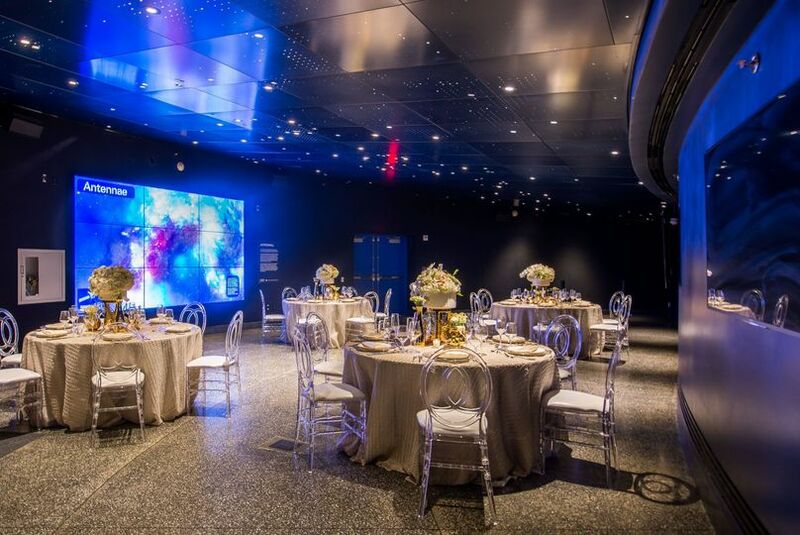 Whether you are seeking a space for your bridal shower, engagement party, wedding, or rehearsal dinner, any of the available spaces would be a great choice, each one with its own unique aura and design. 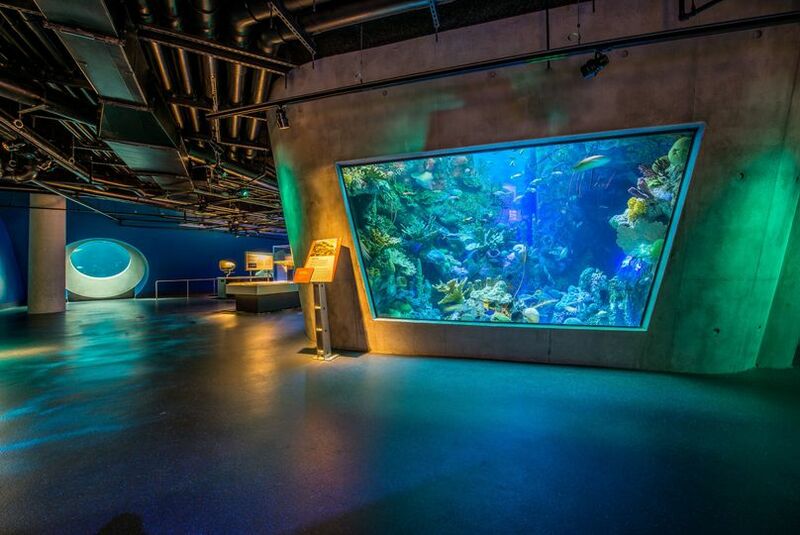 Throughout, colorful mood lighting, plush decor, and eye-catching features, combine to create a warm, atmospheric setting. 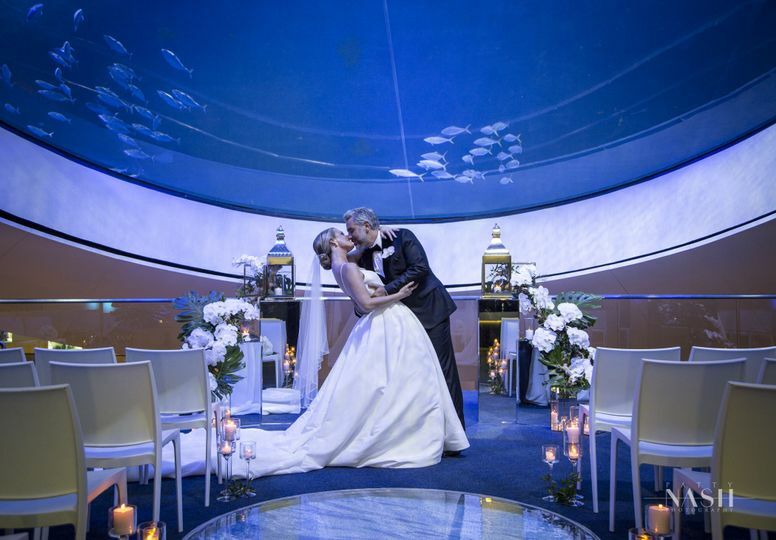 Imagine saying ‘I do’ in the venue’s 250-seat aquarium before making your way to the spacious rooftop to take in the city sights and twinkling lights. 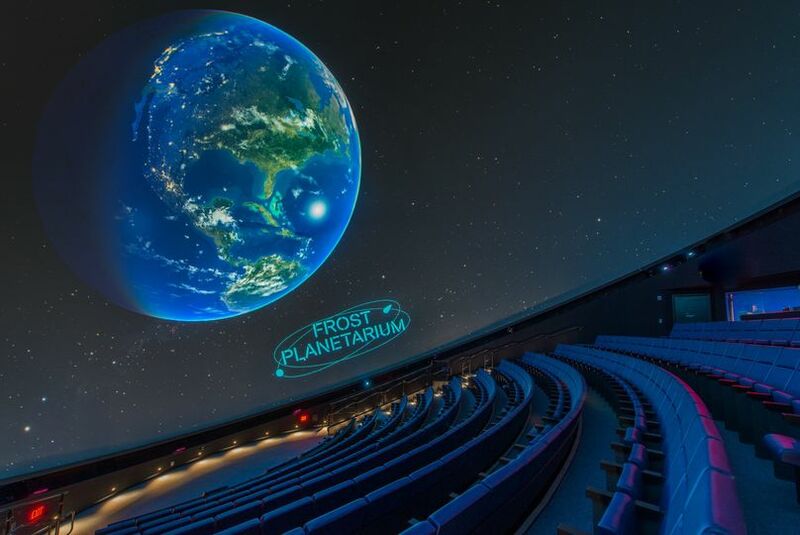 Or, how about utilizing the awe-inspiring space of the full-dome planetarium to enjoy some after-dinner cocktails and appetizers? 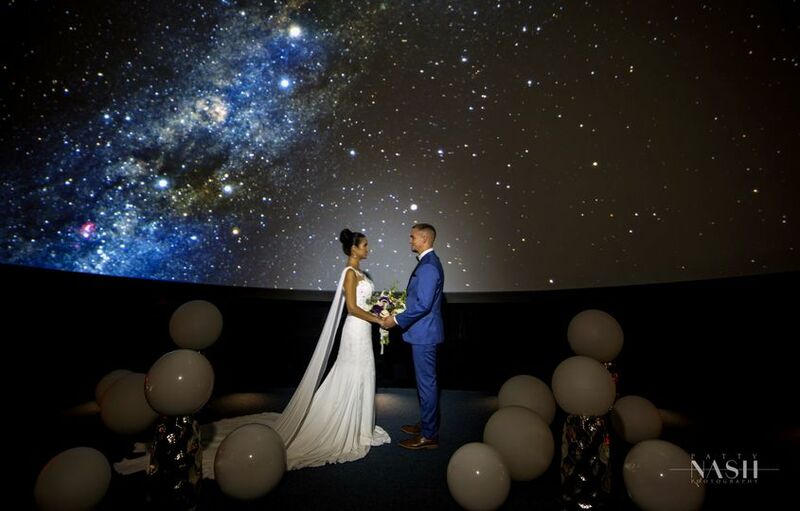 Alternatively, couples and their guests can celebrate the wedding in one of the exhibition halls.